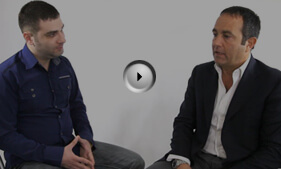 Video testimonial with Massimo Lucera, Afinna One CEO | Speedflow Communications Ltd.
High quality of Speedflow solutions has translated into extending client base. Recently we were visited by one of our valued customers, Massimo Lucera, Afinna One CEO. While his business trip Massimo kindly shared his positive experience of using the Class 4 Mediacore Softswitch. We welcome you to watch Afinna One video testimonial and learn about the platform’s benefits from the user’s own lips. Established in 2010, Afinna One is an Italy based telecom company. At the moment, the company utilizes two Speedflow software solutions: The MediaCore Softswitch and AccuCore VoIP ERP System.